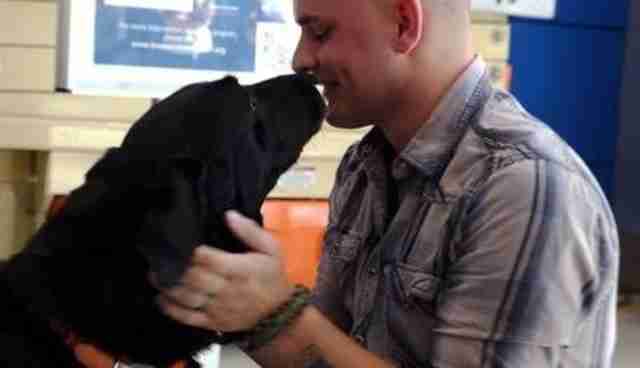 It never gets old: after spending four years apart, another military veteran and his bomb-sniffing war dog have been reunited in Detroit, where the two will enjoy their retirement together. Thanks to the help of Mission K9 Rescue, a Houston-based organization that helps former handlers reunite with their combat dogs, Corporal Jeff DeYoung welcomed Cena, the black lab who helped get him through the war, to his home on Thursday. The two had not seen each other since April 2010, when DeYoung was discharged and Cena transferred to another handler. "We never got to say goodbye," DeYoung told the Detroit Free Press. "They thought it would be easier. I didn't agree." DeYoung said Cena saved his life and the lives of other marines "probably more times than I can count," and when the two were separated the corporal became anxious about whether his dog would make it through the war. 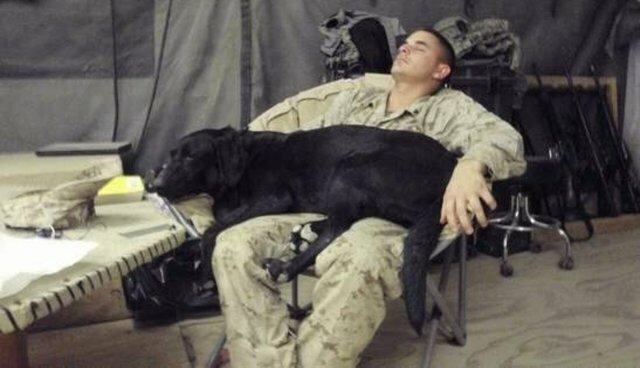 His wife, Lindsay, encouraged him to check in with any of the organizations that specializes in veteran-dog reunions, like Mission K9, and the former corporal was able to receive two updates about Cena's life during the years they were apart. When it came time for Cena to retire, the rescue group knew exactly who to call. 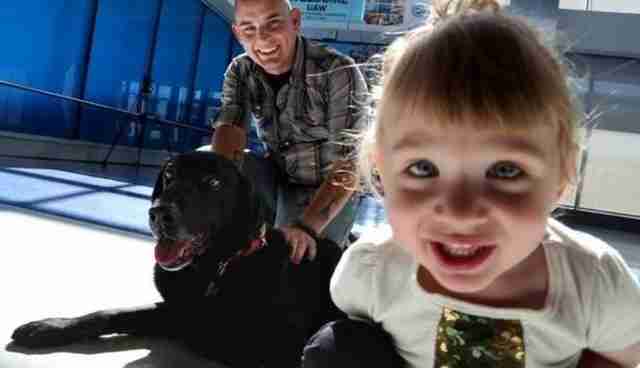 And so on Thursday, accompanied by his wife and young daughters -- who brought signs with them that said "Welcome Home Cena" -- DeYoung arrived at the Detroit airport to greet the dog who saved his life. "Because of you, I got to have them," DeYoung said of his children, whispering to Cena as the dog licked his face. "I know when he got back, he had a lot of separation issues," Lindsay DeYoung told the Free Press of her husband. "I think Cena is going to be really good for him." Photos by Eric Seals/Detroit Free Press.